Energy Star states the #1 one cause of repairs to your furnace or air conditioner is lack of annual maintenance. Avoid costly repairs! Sign up for Comfort+Plus to receive a HVAC tune-up and valuable discounts. At Murphy’s, we have made it our number one priority to offer affordable heating repair service and heating installation. We employ Cape Cod’s best technicians who are background checked and dedicated to ensuring you are most comfortable. When it comes to Cape Cod’s summers, having a reliable cooling system is vital to the overall comfort in your home. From air conditioning tune ups to system replacement, our professional, experienced staff will have your peace of mind at the top of ours. Serving as Cape Cod’s plumber, we take pride in surpassing our customers expectations. From backflow inspections to leaky faucet repairs, we want to be your one call for all your plumbing repairs and services. From Sandwich to Provincetown, Murphy’s is the full service plumbing, heating and air conditioning contractor to call for expert service, 24 hours a day. We offer a comprehensive array of solutions for your indoor comfort including installation, repair and service of all major brands of heating and cooling equipment. Murphy’s is Cape Cod’s premier heating, cooling and plumbing company. 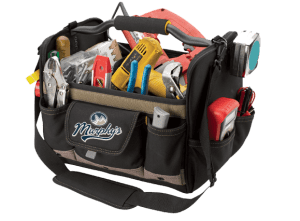 With over 250 years of combined industry experience, Murphy’s friendly office staff, comfort specialists, certified technicians and licensed plumbers are ready to serve you, 24/7. Whether your project is residential or commercial, a remodel or new construction, you can trust Murphy’s to customize a solution that fits your budget. Call on Murphy’s Air Conditioning, Heating, and Plumbing for a complete range of commercial and residential heating, cooling, and plumbing services in Cape Cod, MA and surrounding areas with complete confidence. We stand behind every job with a 100% Satisfaction Guarantee. Focusing on customer service, we’ve assembled a team of qualified professionals who share our dedication to superior value from your investment. From punctuality and cleanliness to honest recommendations, affordable pricing, and meticulous workmanship, we serve your best interests. Contact Murphy’s Air Conditioning, Heating, and Plumbing anytime, 24/7 for prompt assistance. With HVAC and Plumbing industry experience, Murphy’s has proudly installed and serviced all types of heating and cooling systems throughout the Cape Cod, Massachusetts region. We service and install all brands of heating and cooling systems. Please give us a call today at (508) 760-1660 or send us an email using our Contact Us form below. Having earned distinction as a Bryant Factory Authorized Dealer, Murphy’s Air Conditioning, Heating, and Plumbing optimizes energy efficiency, safety, comfort, and customized control over your indoor environment through integrity of products and service procedures. Whether you’re in need of new design/installation, equipment upgrades, regular maintenance, or prompt repair, our licensed technicians deliver an unmatched end result. Call our team for all your HVAC repairs, maintenance & installations throughout Cape Cod, MA and surrounding areas! Offering a broad range of options, including furnaces, heat pumps, boilers, garage heaters, air handlers, central cooling, ductless HVAC, air quality accessories, generators, water heaters, and much more, Murphy’s Air Conditioning, Heating, and Plumbing is Cape Cod’s premier heating, cooling, and plumbing company. "Don’t take our word for it, here’s what our clients have said about Murphy’s." As a property manager here on Cape Cod I need to count on one company to be here quickly and fix it right the first time. Switching to Murphy’s was the best decision I have made. They have done multiple professional installs for me, maintain all the equipment and provide quick professional service. A company like this is hard to find on Cape Cod. From initial call to service everything was quick and easy. Zach arrived in time frame I was told to expect him and was excellent in servicing my home and answering all of my questions. Amazing service. Murphy’s has now installed a new boiler, completely new A/C and ductwork as well as a natural gas Generac generator. We couldn’t be happier. Special thanks to Matt and Dave Byrnes for their expertise and thoughtful consideration towards are issues. No high pressure sales. Just the information you need to make smart choices. As a new customer I am very pleased with the Murphy’s Team, from my initial call to my service my mini-splits. Murphy’s staff is professional, friendly, and very proficient. I plan on being a customer for a long time, including replacing my water boiler gas heating system and all of my other plumbing needs, thank you! Zach arrived bright and early as we were told by Murphy’s dispatcher. We have used Murphy’s before but most people we spoke to could not recommend them. Well we were very pleased with the work Zach did on connecting our new sink and checking our cooling system. Any time we need our cooling to heating system worked on we will request Zach. A Big Thanks You to Zach.